Silverfish and firebrats are similar in appearance. Both are wingless pests. They have long antennae and flat bodies that taper at the end with three long, tail-like appendages. They also move very fast. 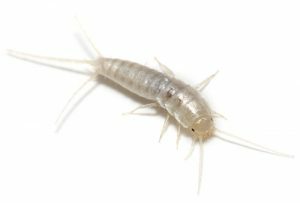 To differentiate, the silverfish is grayish to greenish in color, but the firebrat has a mottled appearance with patches of white and black. Both are about 1/2- to 5/8-inch long. Silverfish and firebrats find their way into homes via cardboard cartons, books, starched and rayon fabrics, papers, and other carbohydrate materials. Once inside, a single silverfish will lay about 100 eggs during her lifetime. The tiny, white, oval-shaped eggs are deposited in cracks and crevices or behind baseboards in damp and warm locations. It takes between two weeks and two months, depending on conditions, for the eggs to develop. A firebrat female, on the other hand, will lay about 50 eggs during her lifetime. And like the silverfish, firebrat eggs require a warm and humid environment to develop. Once the eggs are hatched, the nymphs of both species increase in size over a three-month period. Adults can live two to three years if conditions are ideal, but most live only three to four months. 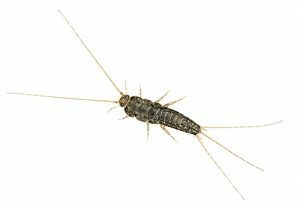 If you discover a silverfish or firebrat in your home, chances are there are more that you cannot see. 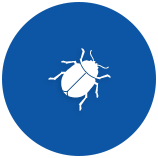 Contacting a reputable, local exterminator like PestLock can help you lock unwanted pests out of your home for good. Both of these pests avoid the light and prefer the dark. Popular hiding locations during the day include bookcases, windows, door frames, and closets. As such, infestations of these insects are usually undetected or ignored until the population becomes too large and widespread. However, a good indication of a silverfish and/or a firebrat infestation includes irregular patches of glaze or notched edges on wallpaper or other paper products, as well as scales, excrement, or yellowish stains on paper or fabric. 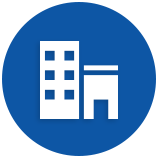 Since silverfish and firebrats require a large supply of starchy foods and/or molds, they will travel throughout a building in search of food. Once these insects find a good food source, they stay close to it. “Food” items include wallpaper pastes, photographs, bookbinding and various paper products, as well as natural textiles such as cotton, linen, and silk. While these insects commonly damage books, they seldom damage fibers of animal origin such as wool or hair. Silverfish and firebrats will also eat any human food and materials that are high in protein or sugar. These insects have also been known to eat their own castoff skins and dead animals, even to the extent of cannibalizing dead or injured members of their own species. Our professional exterminator products kill silverfish and firebrats upon contact and act as a repellant, leaving a long-term residue that prevents new infestations from forming. Expect major activity, especially along baseboards and ceiling light fixtures, for about a week or more. A secondary flushing may occur approximately three to four weeks later if a major infestation exists.